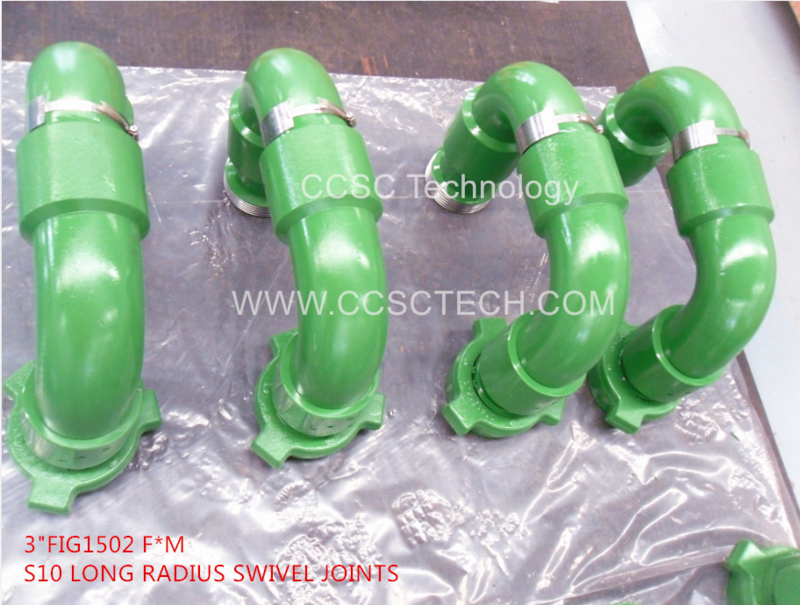 LONG RADIUS (LONG SWEEP)SWIVEL JOINTS are often used in the oilfield when standard and sour gas drilling, flushing, testing, cementing, fracturing, production, our LONG RADIUS (LONG SWEEP)SWIVEL JOINTS are designed and manufactured in accordance with API 6A and API 16C standard and they are improved from SPM&ANSON and FMC series SWIVEL JOINTS. They are easy for operation and low torque and simple to maintain. 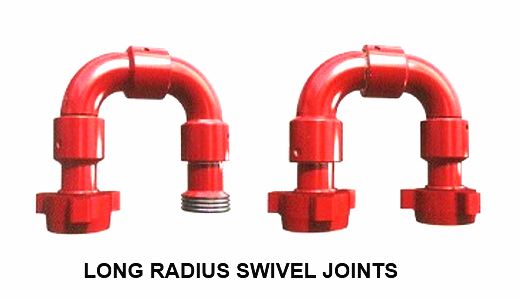 Our LONG RADIUS (LONG SWEEP)SWIVEL JOINTS S with sizing ranging from 1 - 4 inch and working pressure range from 3,000psi - 20,000psi.